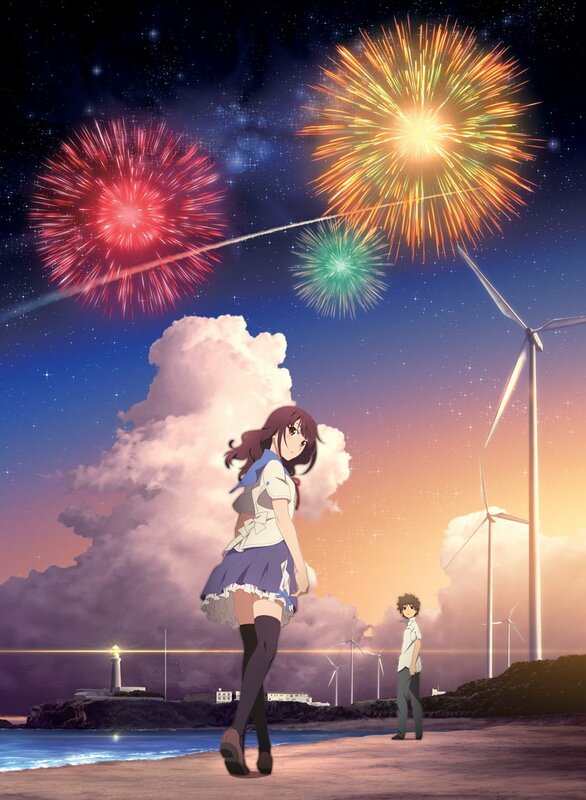 Silently announced back at MCM London Comic Con last May, distributor Anime Limited have finally revealed new details of information surrounding the upcoming UK theatrical release of Fireworks, Should We See it from the Side or the Bottom? 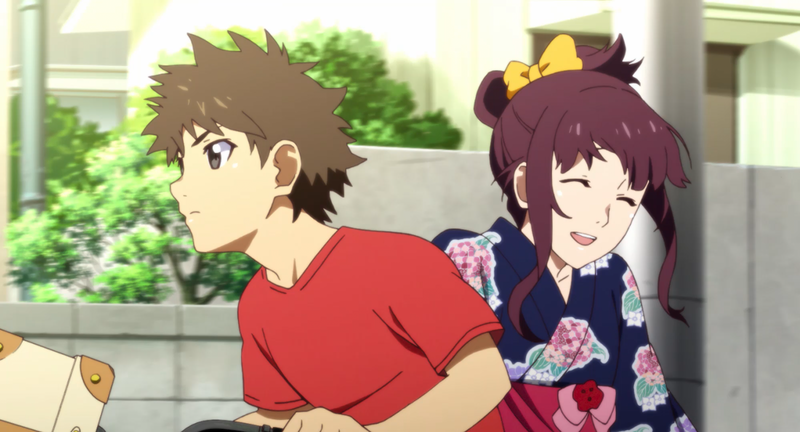 also known as Uchiage Hanabi, Shita kara Miru ka? Yoko kara Miru ka? Fireworks is based on a 1993 TV special directed by Shunji Iwai, whom had also worked on a number of films including the anime feature The Case of Hana & Alice. 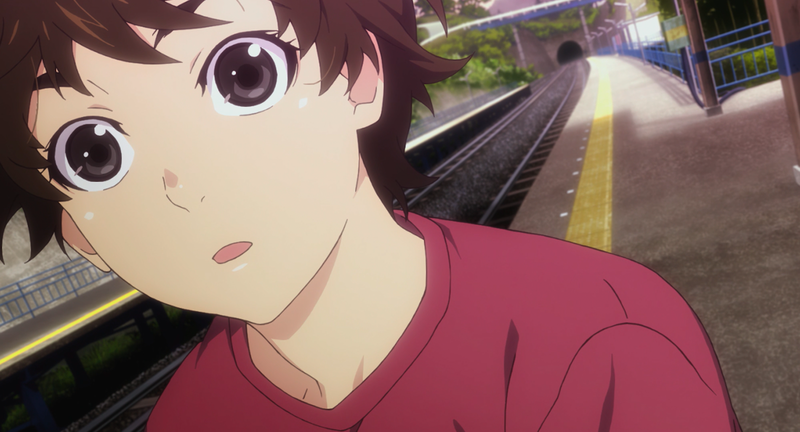 The 2017 anime adaptation of the special is handled by studio SHAFT (March comes in like a Lion, Monogatari) with Nobuyuki Takeuchi (Mawaru Penguindrum) at his first main directorial role. 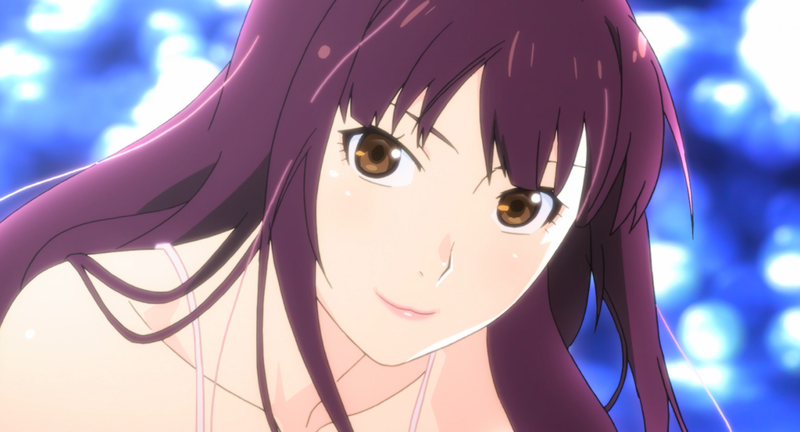 Joining the director is Akiyuki Shinbō (Madoka Magica) as chief director, Genki Kawamura (Your Name) as producer, Youta Tsuruoka (Clannad) as sound producer, Hitoshi Ōne (Bakuman) writing the screenplay, Akio Watanabe (Monogatari) handling the character designs, and the music composed by Satoru Kosaki (Kizumonogatari) plus insert songs performed by Daoko (Animator Expo short ‘ME!ME!ME!’), Kenshi Yonezu (My Hero Academia), and Suzu Hirose (The Boy and the Beast). 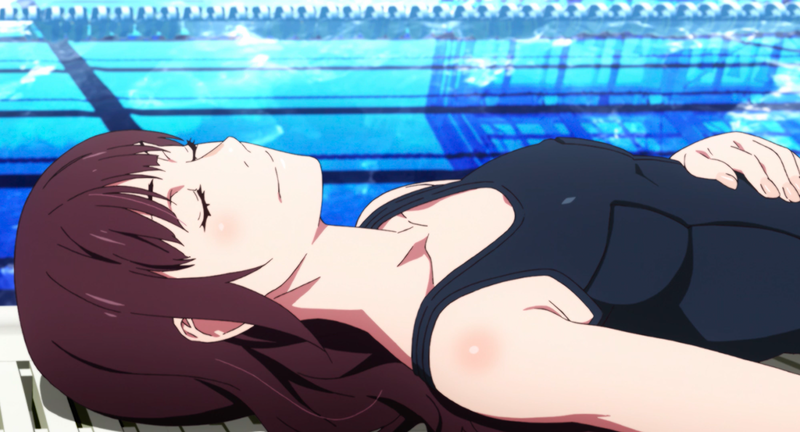 The voice cast is also varied with well-known actors and actresses voicing the characters throughout. Masaki Suda (Death Note: Light up the NEW World) voices the lead male character Norimichi Shimada and Suzu Hirose (The Boy and the Beast) voices the main lead female character Nazuna Oikawa. Joining the main characters are Mamoru Miyano (Steins;Gate) as Yuusuke Azumi, Kana Hanazawa (The Night is Short, Walk On Girl) as Miura-sensei, Takako Matsu (Brave Story) as Nazuna no Hahaoya, and Yuuki Kaji (Attack On Titan) as Minoru. Two friends, Normichi and Yūsuke are confounded by a pair of mysteries. The first, whether fireworks are flat or round when they explode and the second, their growing feelings towards female friend Nazuna. Unbeknownst to the others, Nazuna’s parents are amidst a divorce that threatens to take her away after summer break, but when the boys compete in a swimming race, she hatches a plan – to run away and elope with the winner! In this story of summer, the season of youthful discovery, can these three find the answers both their heads and hearts seek? 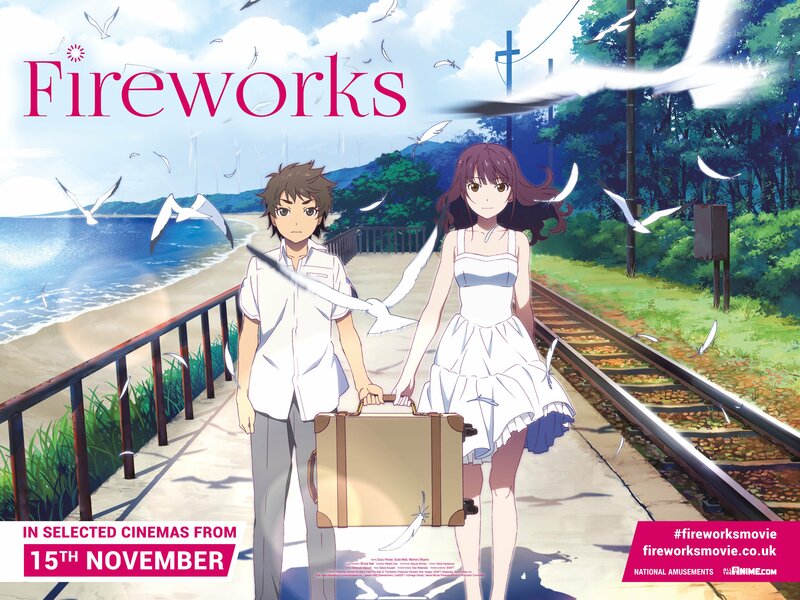 Fireworks is set for UK theatrical release in select cinemas from Wednesday 15th November 2017 in Japanese audio with English subtitles. The film has also been rated 12A by the British Board of Film Classification. 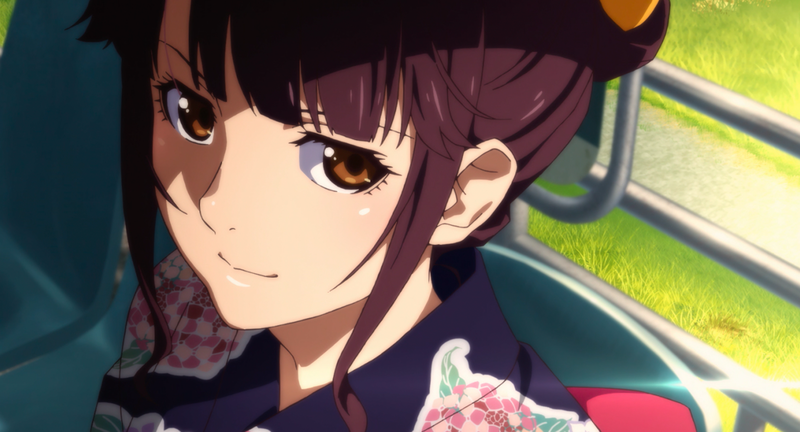 Distributor Anime Limited have offered a website dedicated to locating any cinemas screening the film, but we will also be listing them below. We can confirm that Cineworld, ODEON, Showcase and Vue will all be screening the film at various locations. The times are currently slated for 20:00 (8:00pm). You can pre-book your tickets here. The times are currently slated for 19:00 (7:00pm). You can pre-book your tickets here. The times are currently slated for 19:00 (7:00pm) unless stated below. You can pre-book your tickets here. The times are currently slated for 19:30 (7:30pm). You can pre-book your tickets here. That’s all the information available for the film. Stay tuned if we receive any more!